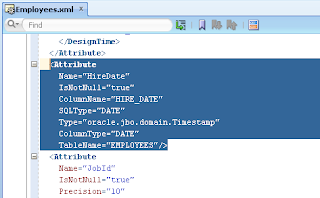 Would it be wrong to change the datatype in all EO's to use java.sql.Timestamp instead of oracle.jbo.domain.Timestamp? 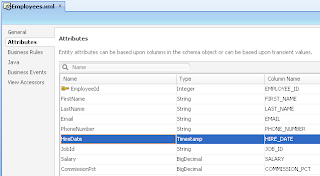 I'm wondering whether it i a mistake that EO's i generated with jbo Timetamp and not sql Timestamp? 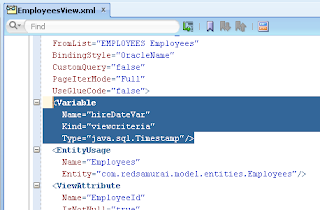 Its hard to say, but I saw java.sql.Timestamp related bugs in ADF UI. 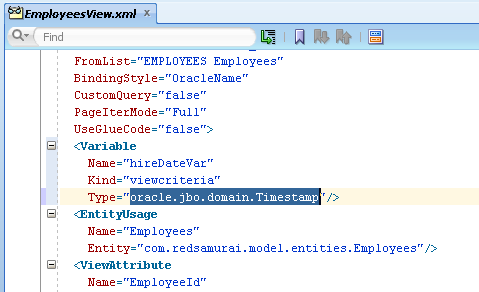 Its why I prefer to use oracle.jbo.domain.Date type. 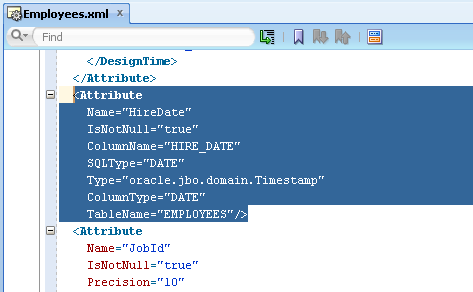 Another argument against java.sql.Timestamp, its just too much to go and change manually type of all Date attributes. 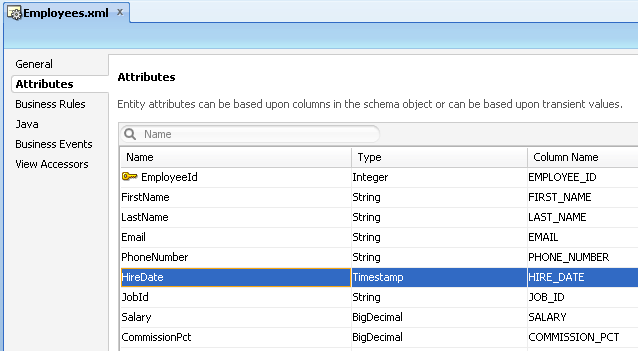 This would mean to fix all Date attributes generated from DB tables. Thanks! 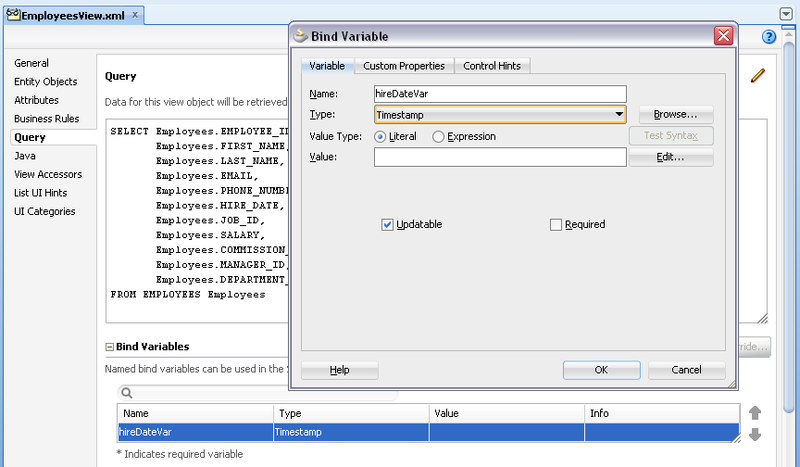 This solved the issue for me. 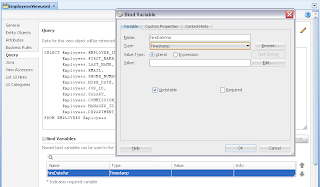 Can you please let me know if i have a column in database as varchar data type in JDEV how can i convert it to NUMBER?